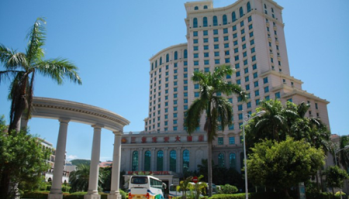 Address：No.18 Haiyun Road, East China Sea tourist area of Sanya City, Hainan Province. 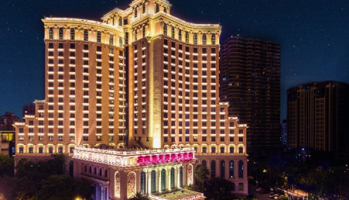 If you need us to book the hotel for you, please email us: iwacp2019@163.com. Address：No.62, Yuya Road, Dadonghai Bay, Sanya, China. 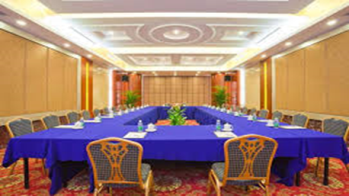 Address：No.88 Haihua Road, Sanya City Dadonghai, Sanya, China. 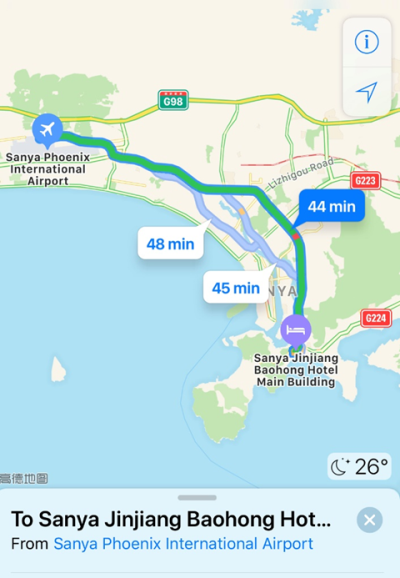 Route Maps: You can take a taxi from Sanya Phoenix international airport to the conference hotel in approximately 40 minutes. OR you can bus routes to the conference hotel in approximately 1 hour. 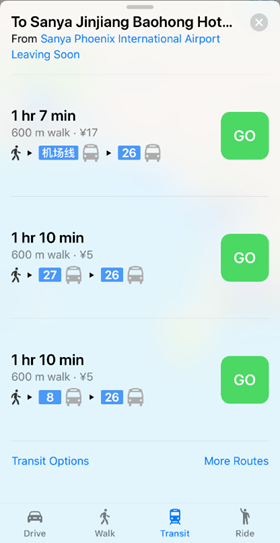 Walk to the bus stop nearby Sanya Phoenix international airport (Sanya Fenghuang Jichang stop), you can board the Line Airport Bus 1 bus, the Line 27 bus or the 8th Road bus to transfer the Line 26 bus, and then exit bus at SANYA JINJIANG BAOHONG HOTEL. You can select the following cities in China as a transit airport to Sanya Phoenix international airport (SYX). 1) Beijing: Air China, China Southern Airlines and Hainan Airlines offers 5 direct flights from Beijing Capital International Airport (PEK) to Sanya Phoenix international airport (SYX) every day. 2) Shanghai: China Eastern offers 2 direct flights and China Southern offers 3 direct flights from Shanghai Pudong International Airport (PVG), Shanghai Airlines offers 3 direct flights from Shanghai Hongqiao International Airport (SHA) every day. 3) Hong Kong: HongKong Airlines offers 1 direct flights and Cathay Pacific offers 2 direct flights from Hong Kong International Airport (HKG) every day. 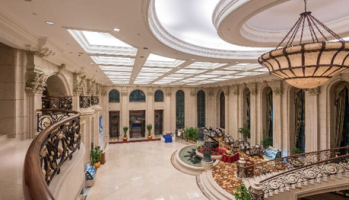 4) Shenzhen: China Southern Airlines offers 2 direct flights and Shenzhen Airlines offers 1 direct flight from Shenzhen Bao'an International Airport (SZX) every day.